The drama of “cutting the chord” between guitar or bass and amplification has been a never-ending dilemma for purists like us, refusing to accept any kind of degradation of sound quality and frequency response from our instruments unless absolutely necessary. Running around onstage like madmen, unencumbered by wires, always seemed a little too frivolous at the expense of our sound quality, but over the past few years, we’ve finally begun to experience wireless systems that don’t rob us of our tone. Common concerns (can you feel the anxiety level building yet?) 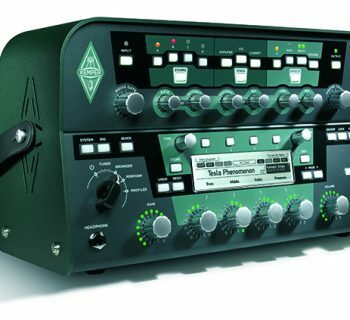 attributed to going wireless include loss in output/gain, poor frequency response, addition of white noise, television/telephone/RF interference, external signal spikes, cumbersome antenna configurations including dangling wires from transmitters, additional cable lengths running from a rack-mounted receiver to a pedal board at the front of the stage and back again to the amp, interference from other wireless units within your band, on and on and on… it’s enough to give you cardiac arrest! X2’s XDS95 compact stomp-box style UHF wireless unit addresses all of the concerns listed above, and then some! 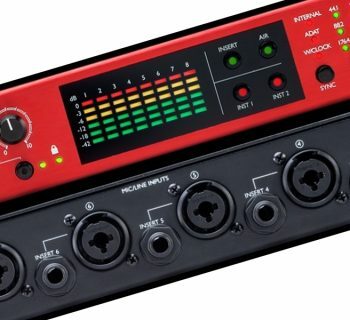 We found this unit to be an excellent wireless option if you are considering (or have flirted with the idea of) cutting the chord and becoming an unanchored stage exhibitionist, while still preserving the quality of your tone. And with its extended frequency response down to a low 10 Hz, the XDS95 makes a very affordable wireless solution for bassists who have wanted to cut the cord, too. The X2 XDS95 Digital UHF Wireless System consists of the XDR1 Digital UHF Receiver and XDT1 Digital UHF Transmitter. The construction of the units is primarily plastic. Though the plastic seems fragile upon first inspection, it’s a polycarbonate material that has been tested to withstand over 300 pounds of stomping pressure. We suspect that at that weight, you’re probably not looking to run around on stage with a wireless system, but for the heavy-footed among you, proper mounting of the receiver on a pedal-board and mounting of the transmitter on your guitar strap via the wire-locking mounting clip should easily keep the unit out of harms reach. Considering the size of the XDR1 and the XDT1, the unit can be easily stored in your guitar case during transport to ensure proper protection of the unit. X2 implement some proprietary digital technology in a compact, stomp-box style receiver. Internally, the receiver contains a microprocessor that selects the best digital data stream received from four internally-mounted antennas (they call this Q-diversity, short for Quad). While internally-mounted antennas typically lack the same reach as external systems, X2 rates the system at up to 150 feet “line of sight” distance, which should cover most players stage requirements. 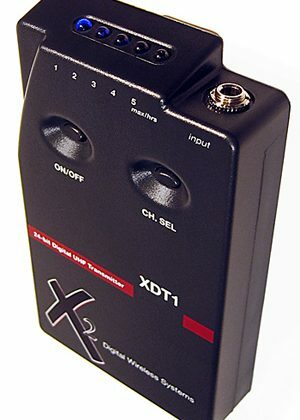 X2 developed a state of the art, 24-bit analog to digital converter inside the XDT1 Transmitter. This allows the unit to capture the complete dynamic range of your instrument prior to sending the signal to the XDR1 Receiver. The converters yield 117db of dynamic range with a frequency response of 10 Hz to 12 kHz. By covering the spectrum down to 10 Hz, the XDS95 should be quite capable for use with bass instruments as well. The digital signal is then modulated over a 900 MHz (UHF) carrier which is then converted back to analog via a 24-bit digital to analog converter in the XDR1 Receiver. In addition to this process, the XDT1 Transmitter also embeds a digital signature into the data stream during transmission. The XDR1 Receiver will only recognize/receive data with this signature present. As a result, outside interferences/stray signals are eliminated before entering the Receiver. 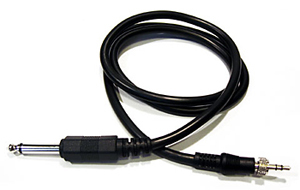 The X2 Receiver contains a dual-function ¼” output connection. 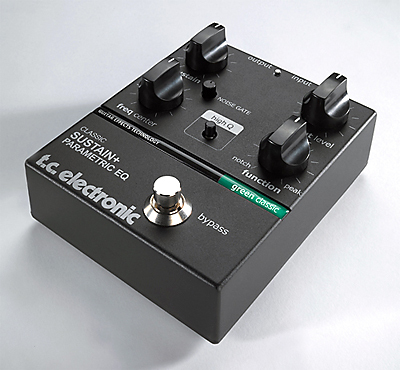 For basic applications going from the Receiver to a pedal chain or an amplifier, a mono connection provides the connection. When using a Stereo ¼” (TRS) cable, though, the tip will send the instrument out signal while the ring will send a full-bandwidth signal. The ring output can be used as a “tuner out” or “direct out” that output higher frequencies due to the full-bandwidth signal allowed to pass through the Receiver at that point. Both the XDT1 and XDR1 contain a five-segment LED display that provides the user with battery status, link status, audio level, RF level, and channel selection. All functions are selectable via a pushbutton-style control switch. Let’s look at each one of these functions individually. The Battery status LED function on both the XDR1 and XDT1 inform the user of remaining battery life/power. The LED is comprised of five blue lights, each numbered 1 through 5. When the #5 light is illuminated, this indicates that there are five plus hours of battery life remaining. As the battery begins to deplete its energy, the light will move downward to #4 which will indicate there are 4 hours of battery life remaining; #3 for 3 hours remaining and so on. When the battery life reaches the #1 LED indicator – one hour of battery life remaining, the LED will begin to blink rapidly to indicate the unit is in need of battery replacement. The battery life expectancy for the XDT1 Transmitter is twelve hours and eight hours in the XDR1 Receiver (when using Alkaline batteries). NiCad rechargeable batteries are rated at four and a half hours, and the use of standard batteries is not recommended. The Link status LED function simply let us know if we had a connection between the transmitter and receiver. Upon powering up the transmitter and receiver, the LED will scan back and fourth between Channels #1 through #5 until the unit identifies an incoming signal between the two units. Once the signal is identified, we had the option to select between channels #1 through #5 as needed. To select a different Channel, we simply press the Channel Select button on the transmitter. The blue LED will switch between Channels #1 through #5 for selection. Due to having five independent Channels to choose from, you can have a total of five of these units on stage working simultaneously, all operating on their own independent channel. As long as each Transmitter and Receiver is set to its own operating channel (selectable by the user), the units will not interfere with one another. The Audio level is identified once a signal passes through the transmitter. The blue LED indicates the strength of the signal: LED #1 being a weak signal and LED #5 being stronger. The RF level function determines if a channel has a clean signal or if it contains other RF frequencies. This function is performed through X2’s DigiScan feature, which can be performed during power up procedures. Once the DigiScan has performed its operation, the LED’s will light above each channel. A Red LED will identify channels containing RF frequencies and Blue LED’s will identify clean channels. X2 includes two nine-volt batteries – one for the Transmitter; the other for the receiver. The XDT1 UHF transmitter has a sliding access door for the battery compartment, making battery changes quick and simple. The XDR1 UHF Receiver gave us two options: use of nine-volt battery power or an AC adapter/nine-volt DC connection. Access to the battery compartment on the XDR1 receiver requires a screwdriver for making a battery change. Since we mounted the Receiver to our pedal board, we found the DC power option to be more convenient, and it eliminated the worry of power loss from the Receiver due to expiring battery life. We found the X2 XDS95 Digital Wireless System extremely easy to operate by simply supplying the preferred power to the XDT1 and XDR1 and making the connections from the transmitter to the guitar and receiver to our pedal chain. Once all connections were made, we were able to simply turn the Transmitter and Receiver to the “On” position and make sure both units were operating on the same channel. We found that accessing the battery compartment on the Receiver was a bit time consuming as it required the removal of some screws, as opposed to a sliding or flip top style access door. We chose to use our Voodoo Labs Pedal Power 2 for supplying power to the receiver, which worked perfectly and eliminated the need for swapping batteries in the unit. The XDS95 was one of the simplest wireless systems we’ve ever used, and we loved being able to mount the receiver directly on our pedal board instead of in a rack. Our only concern was with the inexpensive, molded plastic instrument cable that connects the Transmitter to the guitar. We use premium cables throughout the rest of our rig, and a low-quality cable with a proprietary connector at one end seemed troubling to us. Fortunately, X2 now offers premium quality cables for an additional charge – more details in the Price section. We tested the X2 XDS95 UHF Digital Wireless System with multiple guitars and basses into a variety of amplifiers from Mesa/Boogie and Peavey. The X2 system lived up to the hype you may have heard about its performance in various online forums. It preserved our cabled sound within a wireless environment. This was particularly impressive for bass instruments, as we’ve never heard such good wireless performance for bass instruments from wireless systems under $1,000. We were unable to detect any amount of sound coloration or loss of frequency response when operating through the XDT1 transmitter and XDR1 receiver. With our eyes closed, we would have had no idea that we were connected wirelessly. We did not experience any interference while testing the unit in multiple different environments. The operating range of the XDS95 is rated at 150 feet, “line of site,” for optimum performance. 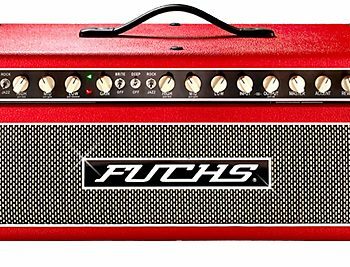 In testing this unit, we never managed to get that far away from our pedal board, but certainly in the twenty-five to the fifty-foot range, sound quality remained consistent, providing excellent cabled tone and frequency response. We found that even without being in “line of site,” the XDS95 still performed in the same manner without any interference or signal drop out. X2 provides more than sufficient information on the XDS95 Wireless System. The unit ships with an excellent User’s Guide containing in-depth information on how to use the XDS95 Wireless System (even though this unit provides connect-and-go functionality/ease of use). You can also download a marketing brochure from X2’s website that explains the technology and basic operating features of the unit. 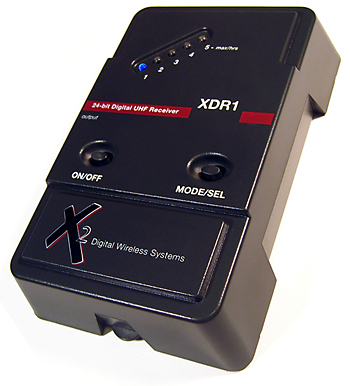 The X2D XDS95 Guitar Wireless System (MSRP $499) can be found online for just under $350. We found this to be an excellent value for a wireless system offering uncompromised sound quality and the flexibility of floor-based receiver setup. For bass players, the X2 system represents an even greater value. We recommend upgrading to X2’s premium cables that feature premium Canare wire with Neutrik and Switchcraft ends. There are two options: The XC2 – ¼” to 1/8” locking cable and the XC3R – Right-angle ¼” to 1/8” locking cable. The premium cable upgrades (MSRP $65.00) can be found online for approximately $40. Derek Davodowich, Senior Editor, is a professional guitar player, Berklee graduate, and guitar instructor located in New Jersey. 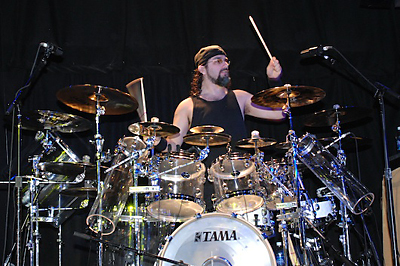 He was a member of the prog rock band Days Before Tomorrow and is presently the guitarist for DreamEternalBliss.